Is anyone’s food journey as fun, let alone more adorable, to follow than little Luna Stephens’? 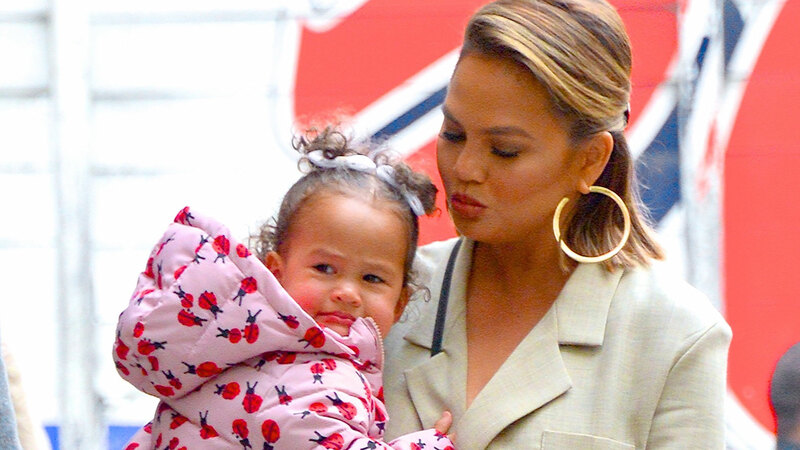 The answer is a firm no, and her mom, Chrissy Teigen, just shared another milestone moment with the world: Luna’s first McDonald’s Happy Meal. On Thursday, Teigen posted a video on Twitter of herself, her mother and Luna in their car moments before Luna would try what many kids would consider the holy grail of dinners, the Happy Meal. “Luna, look! Lu, it’s your first Happy Meal!” Teigen said to the camera. “Do you see the box?” To which Luna responded, “This is my first French fry.” Well, not quite, as Teigen points out later in the video. While most parents might limit their kids’ junk food intake, Teigen embraces it. Luna is a kid, after all, and according to Teigen, it’s all about balance. Teigen, who plans to release another cookbook specifically for kids, has always been pretty vocal about both Luna’s food preferences and her own struggles to appease her picky eater. In December, she even revealed a genius hack — a DIY restaurant menu — to encourage Luna to eat a home-cooked meal. She described her approach as “trying to get Luna to eat by being psychotic.” But hey, if it works, it works.